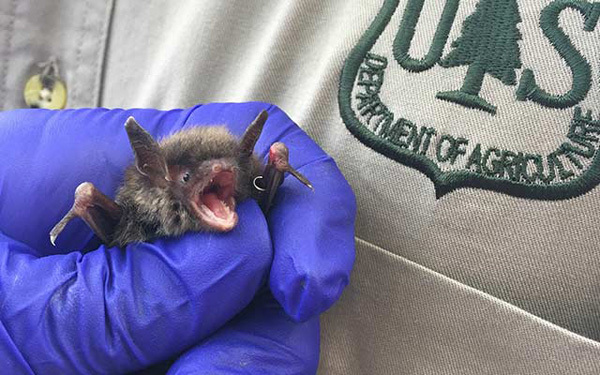 White-Nose Syndrome (WNS), caused by a fungus, has devastated bat populations in the eastern United States since it first appeared here almost ten years ago. 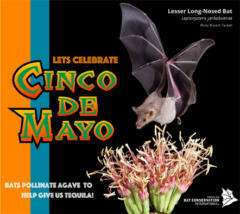 An estimated 5.7 million bats have died, and conservationists have scrambled to find solutions. 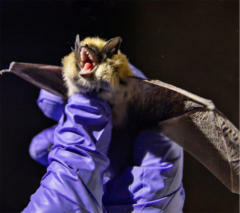 The bats released last week all had White-Nose Syndrome, and were successfully treated with a common bacterium that releases Volatile Organic Compounds (VOC) with anti-fungal properties. This hopeful story may be an important first step in managing WNS. And its scientific backstory is just as fascinating. This innovative treatment’s development began not with bats, but with bananas. That’s right: the bananas on your supermarket shelf play a surprising supporting role in bat conservation. When researchers at Georgia State University began research on the common bacterium Rhodococcus rhodochrous they were not thinking about bats. They were not even thinking about fungi. They were thinking about fruit. 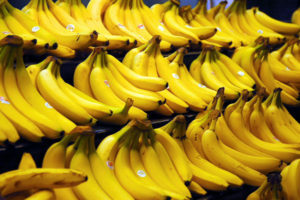 When bananas, peaches and other fruit are picked, the plants emit their own chemical signals. These begin the fruit’s ripening process. When fruit has to be delivered thousands of miles to supermarkets – as is so often the case – it’s a race against time. The fruit can ripen and rot before it makes it to the store’s shelves. Researchers were investigating the effectiveness of VOCs – emitted by the bacterium R. rhodochrous – in delaying ripening in fruit. 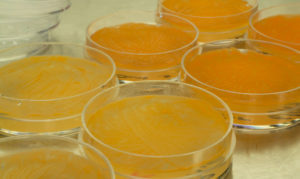 R. rhodochrous cultured in petri dishes at Georgia State University. Researchers and graduate students began noticing another effect of these VOCs: fungus inhibition. The fruits exposed to the bacterium were not getting moldy. Chris Cornelison was at the time a graduate student at Georgia State. He had been seeing the photos of dead bats piling up in caves, and a thought crossed his mind. Cornelison, now a post-doctoral research associate at Georgia State, exposed petri dishes of the fungus that causes WNS (Pseudogymnoascus destructans) to the bacterium. Other bat researchers and conservationists saw the potential for this bacterium and the potential to take action against a conservation issue that was frustratingly difficult to combat. 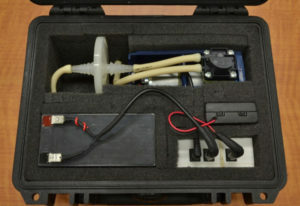 A number of partner organizations – including BCI, The Nature Conservancy and the U.S. Forest Service – worked with Georgia State researchers to test this bacterium as an initial tool to help manage WNS. Hancock notes that there was no public money being spent on this kind of research, so The Nature Conservancy and BCI sought proposals to accelerate the research. 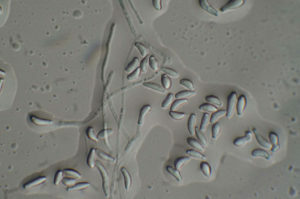 P. destructans, the fungus that causes white-nose syndrome. At Georgia State, the laboratory results continued to be impressive. The next step was to test the bacterium on bats in a laboratory setting, and it worked. Bats suffering from WNS recovered. Of course, the bacterium is essentially a biocontrol – a biological method of controlling an invasive species. 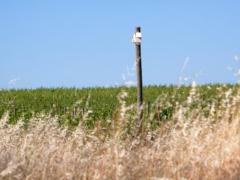 As Cornelison notes, the use of biocontrol has a checkered history, one filled with unintended consequences. The impacts of the bacterium on other native organisms would have to be fully vetted. But in the meantime, bats could be treated in a limited field setting. 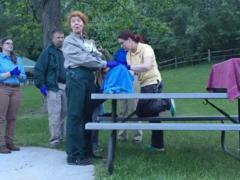 First, bats suffering from various levels of WNS were collected in the wild. They are not actually treated with the bacterium; it’s the VOCs that have the anti-fungal properties. 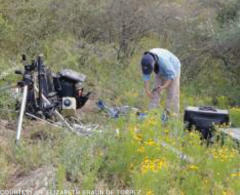 The bats were placed in a mesh bags, then put in a large Yeti cooler containing plates of the bacterium. They stay there for 24 to 48 hours. 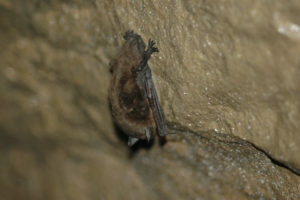 The treated bats were then placed in an enclosure in a wild cave, where they spent their hibernation. This spring, they were collected and tested for presence of WNS. Some of the bats had such severe wing damage from the fungus that they could not be released (these animals will serve as conservation ambassadors), but 75 were released at the Mark Twain Cave Complex in Hannibal, Missouri. The bacterium does not cure WNS; it arrests the development of the fungus and inhibits its growth. But it is still a tremendous first step in finding ways to manage the disease. “We have to make sure it’s not going to upset the cave’s delicate ecology,” says Lindner. Once those tests are completed, how do conservationists actually treat a wild cave? Researchers are considered a nebulizer that pumps the VOCs into the cave. “It’s a very sophisticated version of a commercial grade air freshener, like what a hotel might use,” says Lindner. Even then, this tool will not eliminate WNS. 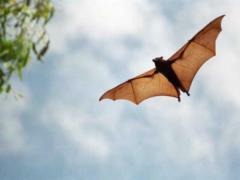 For several years, talking to bat conservationists was an exercise in despair, in helplessness. WNS is still a major problem, and one that will continue to require innovation and research on a number of fronts. Matt Miller is a senior science writer for the Conservancy. 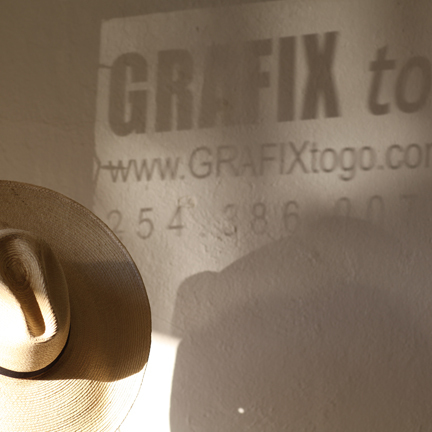 He writes features and blogs about the conservation research being conducted by the Conservancy’s 550 scientists. Matt previously worked for nearly 11 years as director of communications for the Conservancy’s Idaho program. He has served on the national board of directors of the Outdoor Writers Association of America, and has published widely on conservation, nature and outdoor sports. 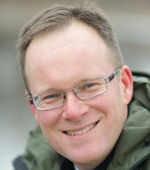 He has held two Coda fellowships, assisting conservation programs in Colombia and Micronesia. An avid naturalist and outdoorsman, Matt has traveled the world in search of wildlife and stories.